No one does Full Moon (or any of the island’s parties) like a Slumber Party Hostel. 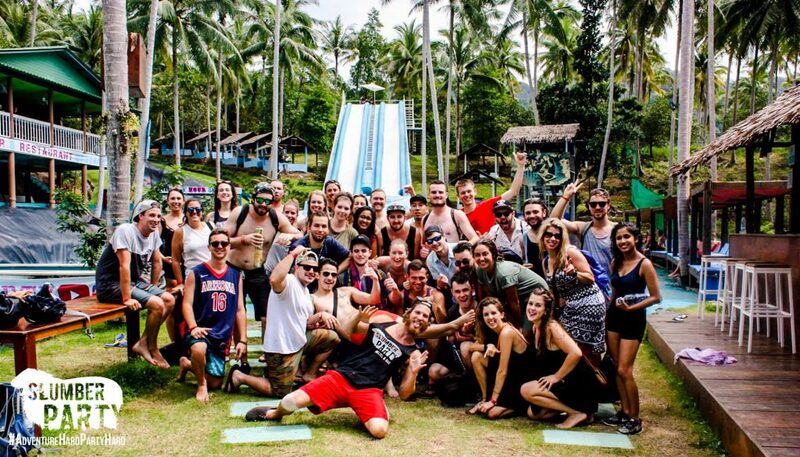 When we say that we’re a party hostel, we mean it. Our pre-parties are not for the faint of heart. We. Go. Hard. If you can handle it, we’re ready to pour all the shots you can take. And the best part about it all? We know how to do even more than party. 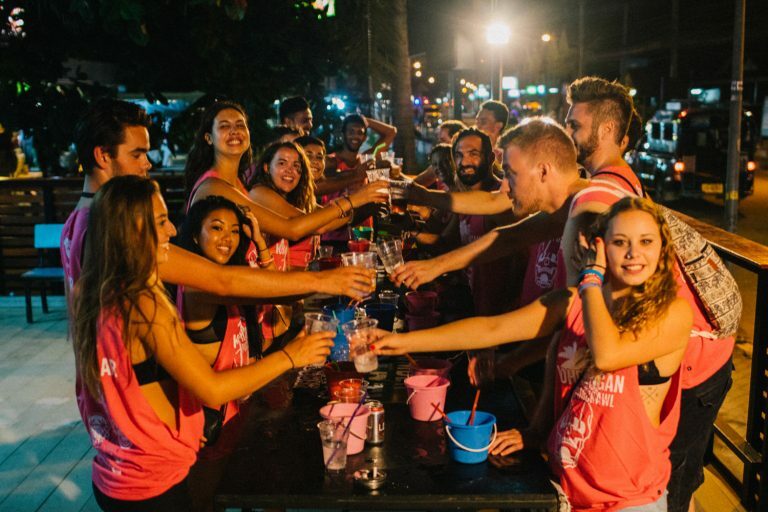 Our Crazy Mango Tour will take you to the best spots in Koh Phangan, and our staff can point you to all the day activities the island has to offer. Located centrally in Ban Tai, you’ll be near all the pre-parties and a short drive away from Haad Rin. We know that your body needs all the help it can get after a night out with us. That’s why we’re proud to provide the highest quality mattresses, pillows, and sheets (along with complimentary towels). Each dorm room is also equipped with energy-efficient air conditioning and fans. And most importantly, Slumber Party is next door to some of Koh Phangan’s best restaurants. 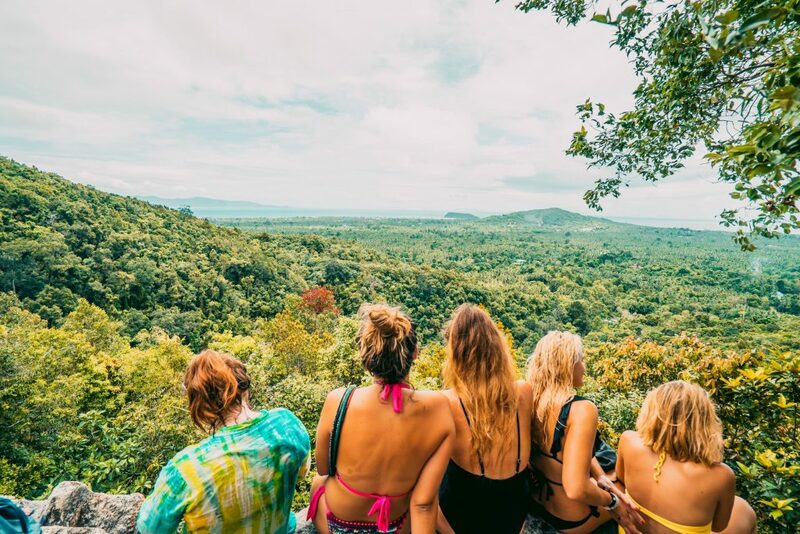 Koh Phangan is a beautiful island packed with amazing things to do. 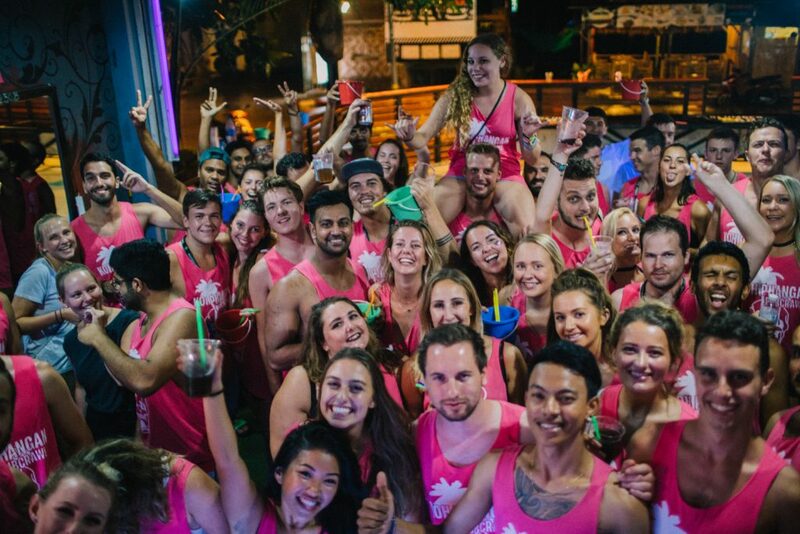 There’s no better way to get ready for a Full Moon or Half Moon Party than a Pub Crawl across the WHOLE Island!